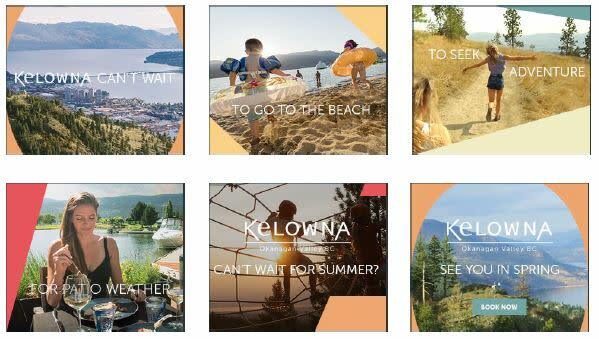 Tourism Kelowna’s spring and summer marketing campaign has started rolling out, inviting travellers to get a jump start on a busy and exciting travel season. Leveraging insights from our past marketing campaigns, our 2019 spring and summer campaign builds on past, proven performers and introduces some new marketing tactics, as well. In late 2018, we conducted consumer brand research which indicated our key travel profiles – wine and food lovers, golf enthusiasts, urban adventurers, outdoor explorers – were still right on track. We also confirmed a very high correlation in the interests of leisure and business travellers when deciding on a destination. Our primary geographic markets remain Western Canada and Washington State, with select marketing tactics that run nationwide. Further, we work with our provincial and national destination marketing partners to reach select international markets with a coordinated and targeted message. This year, we have further optimized our marketing tactics to generate strong reach, impressions, and results. Our advertising plan includes an integrated mix of television ads (live network and connected television); digital pre-roll video; content partnerships; paid digital, native, and social media advertising; e-mail marketing; and influencer marketing. Building on past partnerships, we continue to work directly with key platforms including Expedia and TripAdvisor to reach travellers. Kelowna is the hub of the Okanagan Valley and Canada’s four-season playground. Our spring and summer campaign shows off our natural beauty, freshest flavours and lively events. Our invitation to travelers is to come to Kelowna to explore, sip and play. Here, visitors find themselves at the centre of an energetic, warm, and friendly destination, surrounded by the best the Okanagan Valley has to offer. 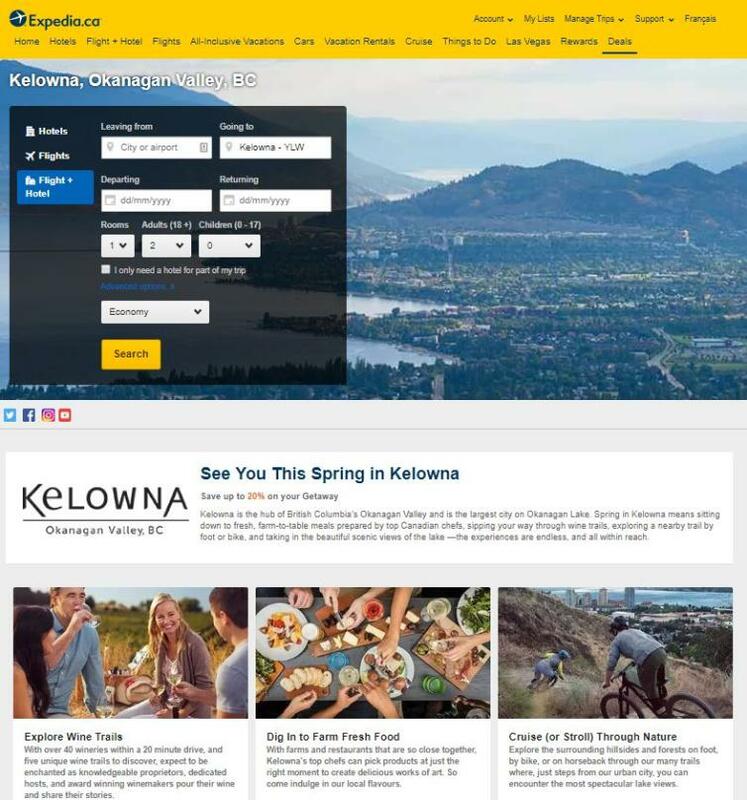 If you have any questions about our marketing and communication programs, please contact Chris Shauf at chris.shauf@tourismkelowna.com or call (250) 861-1515 ext 203.